Multiplication Incentive Charts is provided below. Times Table Sticker Charts: This is an ice cream shaped multiplication incentive chart that you can use to record your students' progress at learning their multiplication facts 1 - 10, or 1 - 12. 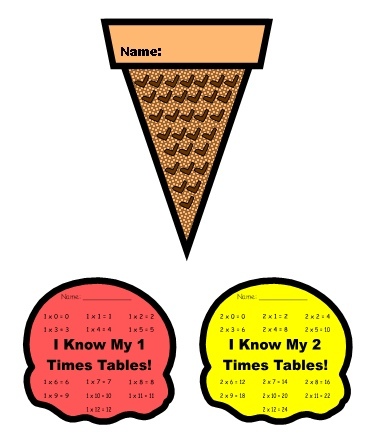 These ice cream shaped incentive charts will help you to encourage your students to learn their times tables. These multiplication incentive charts provide you with everything that you need to encourage your students to learn their times tables and reward them as they are making progress towards achieving this math goal. 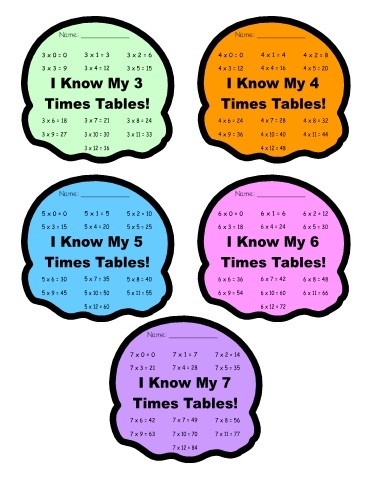 By using these unique math sticker charts, you will be providing motivation and positive reinforcement for your students to learn their times tables in the time period that you select. Students will enjoy taking their completed ice cream multiplication sticker charts home with them when they have reached their math goal and sharing this achievement with their parents. The parents of your students will appreciate the extra effort that you have put into promoting learning the multiplication facts in your classroom. These unique multiplication incentive charts grow in height as your students learn their multiplication facts. 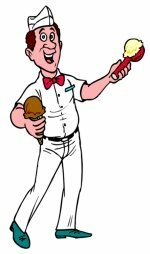 Each student begins with a ice cream cone displayed in your classroom. 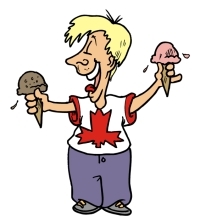 As each student masters a new times table, they place that new scoop on top of their ice cream cone, so that your students' ice cream cone charts are growing as they are mastering their times table facts. When these ice cream multiplication sticker charts are completed, they measure 31 inches in height and 3 inches in width. that is provided for this multiplication sticker charts set. Below are samples of the cone and ice cream scoop templates. There are 12 ice cream scoops, in different colors. 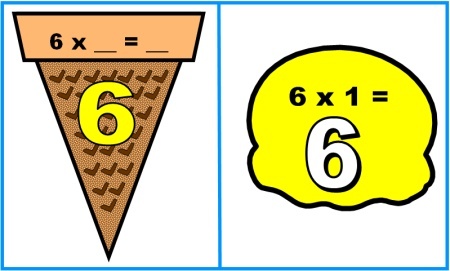 Note: If you prefer to have your students color their cone and ice cream scoops themselves, I have provided black and white versions of these templates in this Multiplication Sticker Charts set as well. The black and white are not shown here. These Ice Cream Multiplication Sticker Charts are a wonderful way to positively reinforce your students for learning their times tables. If you want to take this a step further and recognize your students' math accomplishments for achieving this goal, I have designed a matching student award certificate. There are two versions of these awards, one for mastering the times tables 1-10, and another version for mastering the times tables 1-12. Both of these student award certificates come in both color and black and white versions. 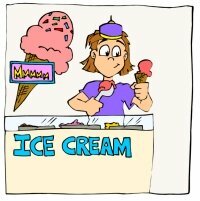 Your students will be excited to take their completed ice cream cone multiplication sticker charts home with them, along with their matching award. 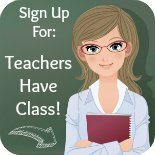 Their parents will be impressed with the extra effort that you have put forth in positively reinforcing your students to learn their times tables. 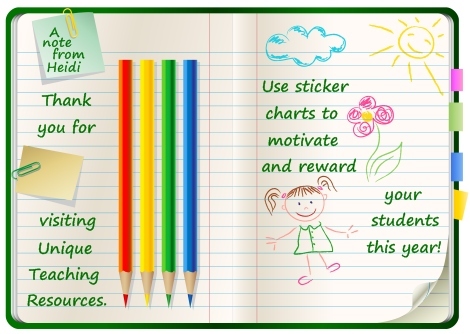 Many teachers like to make classroom bulletin board displays featuring their students' sticker and incentive charts. 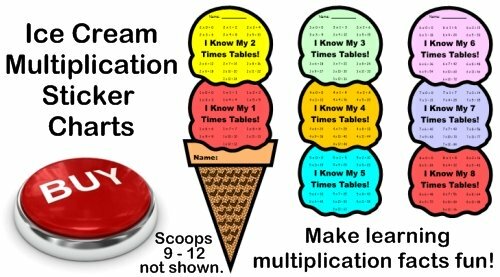 These ice cream multiplication sticker charts make a colorful bulletin board display and provide a strong visual reminder to students of the math goal that they are trying to achieve. This time is valuable and better spent on developing your classroom curriculum and grading papers, so I have designed 2 different banners for you to choose to use in this set. The first is a horizontal 5 page banner for your bulletin board. If you have access to a laminating machine, you can laminate your banner so that it is durable and you can use it year after year for your bulletin board display of these Ice Cream Multiplication Sticker Charts. 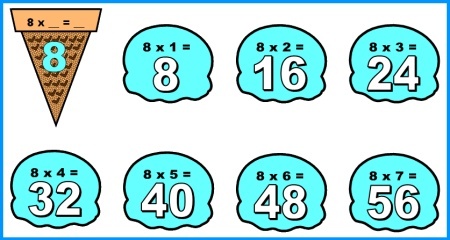 Below is the second banner that is included in this multiplication sticker charts set. It is a vertical 3 page banner that comes with this set to help you decorate your bulletin board. Note: There are two versions of this banner, one that says "MATH" and another vertical banner than says "MATHS," depending on the wording used in your country. The "MATHS" version is not shown here. Below you will find a matching classroom display set. 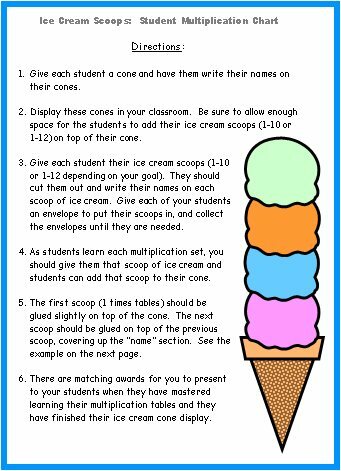 I made these large multiplication facts on ice cream cones as a supplemental resource for the above ice cream multiplication sticker charts. Ice Cream Multiplication Display Set is provided below. This is an ice cream shaped multiplication facts bulletin board display set. This set includes a display for the multiplication facts 1 - 12 and a 5 page bulletin board display banner (see above). Each set of these 12 multiplication cones measures 68 inches in height. not include the 4 x 11 and 4 x 12 scoops, which are included in this resource set. 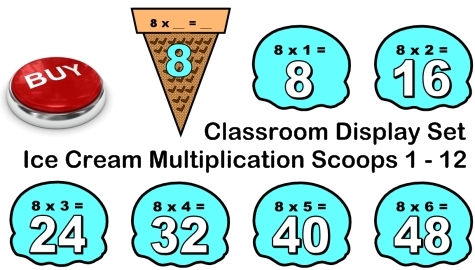 Each multiplication set includes a cone and 12 scoops, each on a separate sheet of paper to assemble into a large vertical multiplication ice cream cone display. There are 12 sets of cones in different colors for the 12 times tables, as well as a bulletin board display banner. 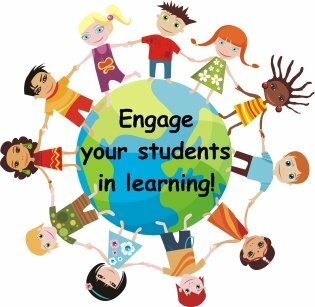 There are 161 pages of printable resources in this set of teaching resources. Above: In the 12 sets of multiplication facts, I have used 6 different colors. 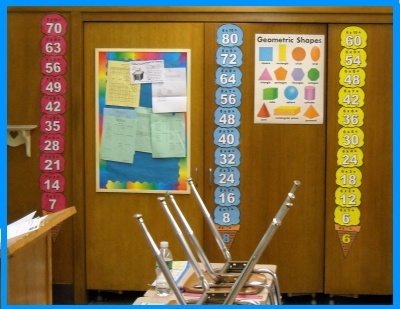 Above is a photograph of three of these multiplication scoops displayed in Teresa's classroom (a grade 4 teacher from New Jersey). Teresa chose not use the 11 and 12 times table scoops in her classroom display. Above: Example of 6 times table display set . Above: Example of 8 times table display set . 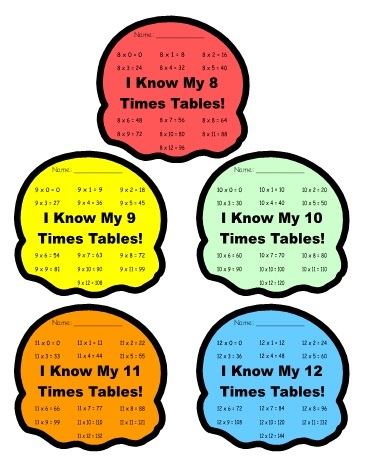 Above: Example of 11 times table display set. 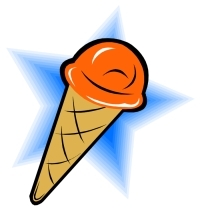 Thank you for visiting my Ice Cream Cone Multiplication Sticker Charts page.